Our customers configure the barcode scanner app to scan barcodes, collect data and sync the data to the cloud. Customers then use our web based barcode system to organize, analyze and export their scan data, manage users and barcode scanning devices. Scan to capture barcode. Collect associated data. Auto-sync records to our server or your server. Simply export scans, or fully integrate. The app works with smartphones, tablets, scan sleds, and Android mobile computers. Use the built-in camera, imager or Bluetooth accessory. No coding required to quickly configure most solutions – just select options from menus. Low coding allows developers to enhance solutions. 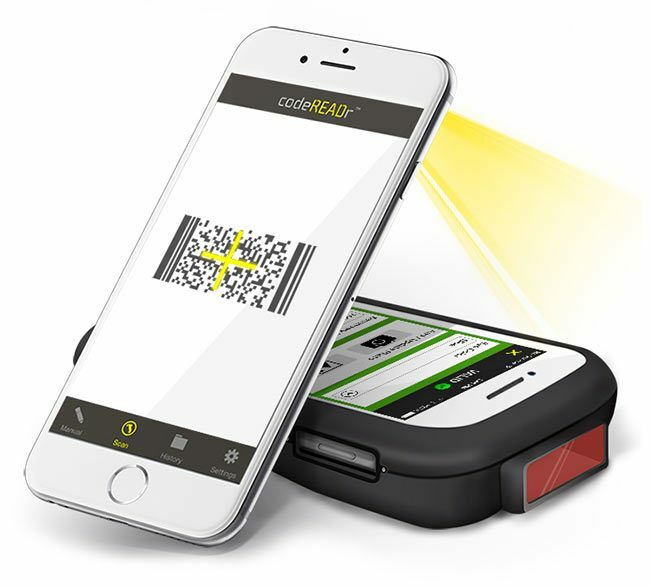 Quickly and accurately scan barcodes with the device’s camera, imager or a Bluetooth scanning accessory. Add your logo to the barcode scanner app or get your own white-label version. If online connectivity is unstable, scans are saved on the barcode reader and synced every 2-seconds to the cloud. Validate barcode scans against a database stored online or auto-synced globally from the cloud and stored on the device. 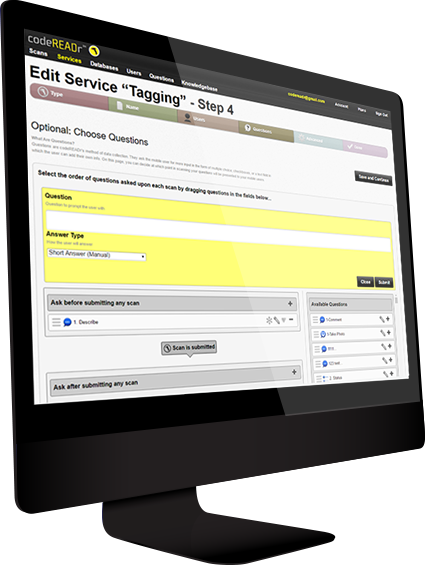 Ask multiple choice, drop-down, voice-to-text, or custom questions with each scan. 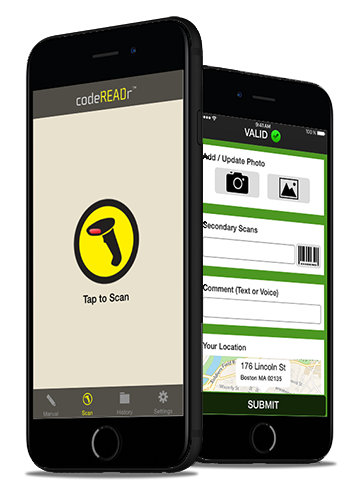 Take pictures, record GPS location and capture signatures with the barcode scanner app as part of a scanning workflow. Import, sync and edit your databases in the cloud. API option for developers. Setup custom workflows for your barcode scanning and data collection services. Prompt app-users to collect data and customize the validation of that data. Specify permissions & reporting for every app-user to access services and databases. All communications with the mobile app and API are encrypted. The API gives you full control of scanning devices, users, and data. Businesses provide our barcode scanner app to their employees and contractors in order to improve operations and solve business problems. Public and private sector institutions utilize barcode scanning for security, attendance, access control, asset tracking and more. Service providers integrate with our API and provide our barcode reader app to their clients as part of their own solution.